DO UP TO 15 MACHINES IN 25 MINUTES! 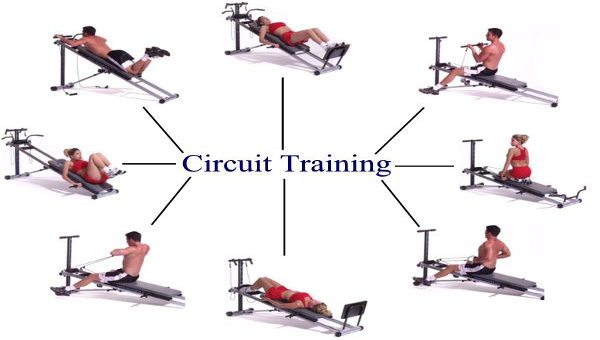 In 1938, two Cambridge University professors invented the weight circuit. It is a timed workout where you spend 90 seconds on each machine then move to the next, without rest. Unlike treadmills, which take up to 15 minutes to get your heart rate up, weight circuits get your heart rate up in just one minute, to around 155 beats per minute, which is 20 bpm higher than a treadmill! 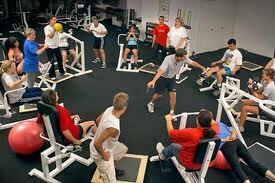 In addition, they give you a full body workout to restore your lost metabolism by restoring your lost muscle. This is what pro athletes like the Dallas Cowboys, Mavericks, Stars, Ranger do. So does SMU, TCU, Plano and Highland Park High Schools, and virtually every high school and college in the country. How many calories can I burn from circuit training?